A final screenshot for 2018 from me. Back to TANE because the computer wont handle the release build of 19. A busy afternoon at Thirroul as peak hour trains make their stops. A beautiful screenshot Aaron. When I see a railway station detailed basically with exactly what you'd see in real life, as you've done mate; or a landscape layout with the right balance of colour such as what Graeme can produce (great stuff); then I begin to question myself, as to how much detail I should incorporate into my own layouts. Have I been putting in too much. 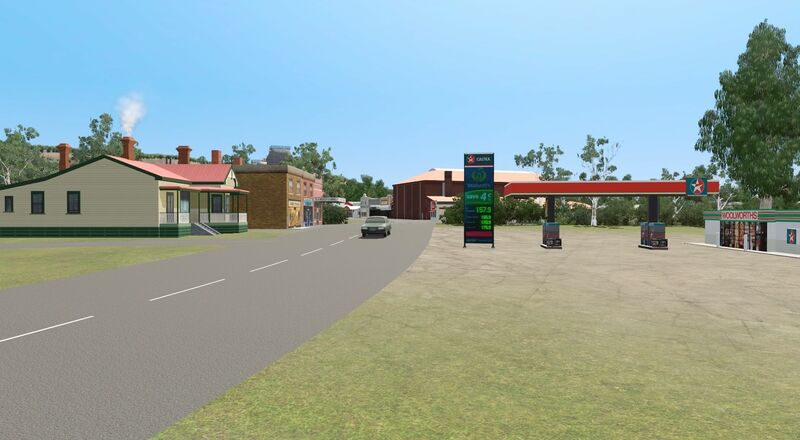 I have focused on street fronts and looked for typical Aussie shops; then knocked up models of them. I dunno, I must be getting old. 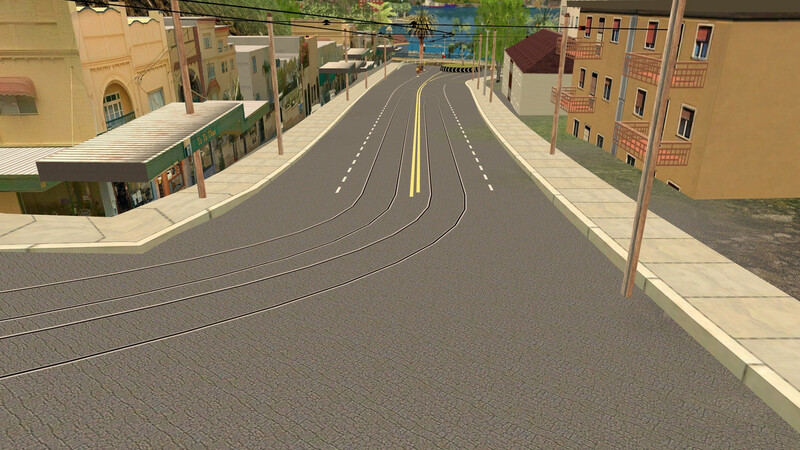 For the past week I've been attempting to embed tram lines into about 20 different road splines, then ripped them up, to use texture surfaces instead. Sydney does not give you a flat surface to work on and so track spline heights vary considerably with road spline heights, and then they create shadows where you don't want them. Intersections need a flat area for road splines to attach - not adjustable, so they become inappropriate in a number of areas. Why hasn't someone created adjustable intersections for hilly surfaces? 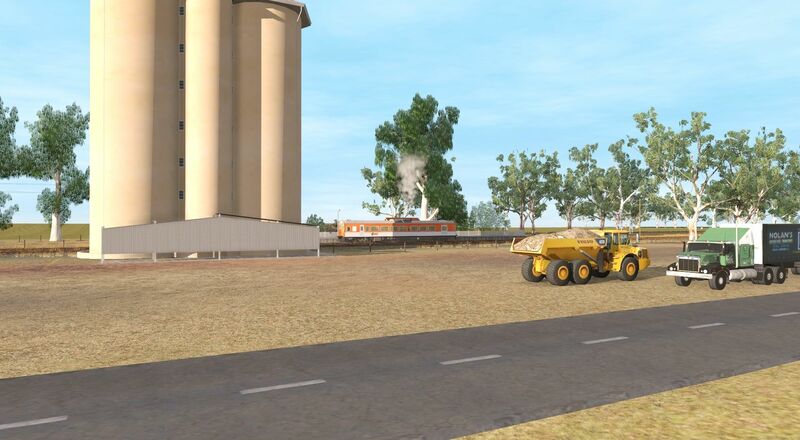 Road splines do provide a 'quick' finished article with footpaths and road markings in place, whereas using textures, although they are more flexible and look better, require more time and effort to get the exact width of the road to suit all the extras such as paths, catenary poles and telegraph poles, etc. I think I've just about answered my own questions. I've always worked on the basis,... Complete what you are doing - If it doesn't look right - Do it again. I'd better get started, lol. Here's a few shots along Military Road Neutral Bay, where I used to work part-time as drink waiter at the Music Hall Theatre Restaurant way back in the 50s. 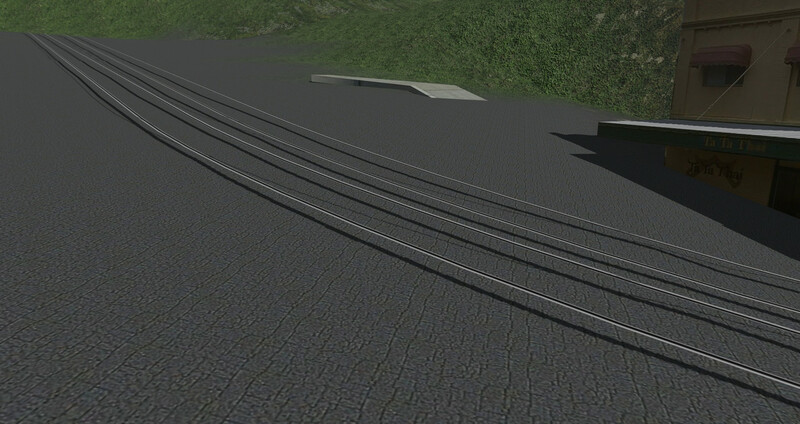 This section I've used a Boulevard spline and a B-R intersection. 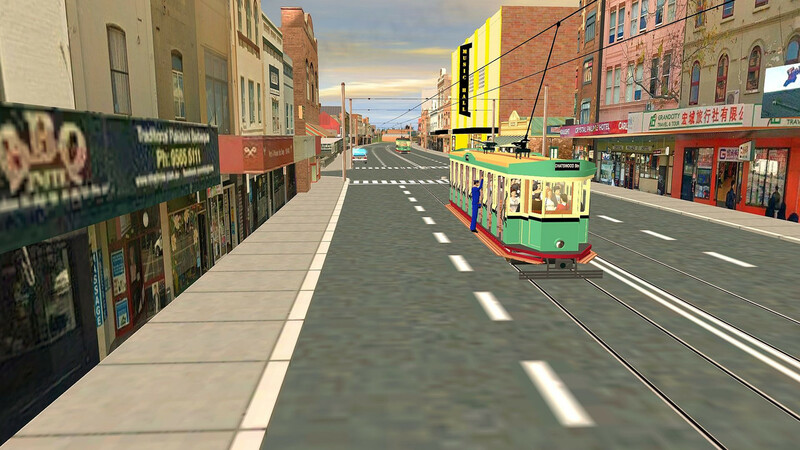 Tram tracks embedded are fairly easy on flat surfaces. The 'Cop Shop' handy for any disturbances going on across the road. On Google Earth today, all has gone and been replaced. Neutral Bay Junction, Wycombe Road tram stop. This was the tricky part. A steep hill leading up from the wharf, then making a right turn. up another hill at a T intersection. This means a texture for all hilly areas. 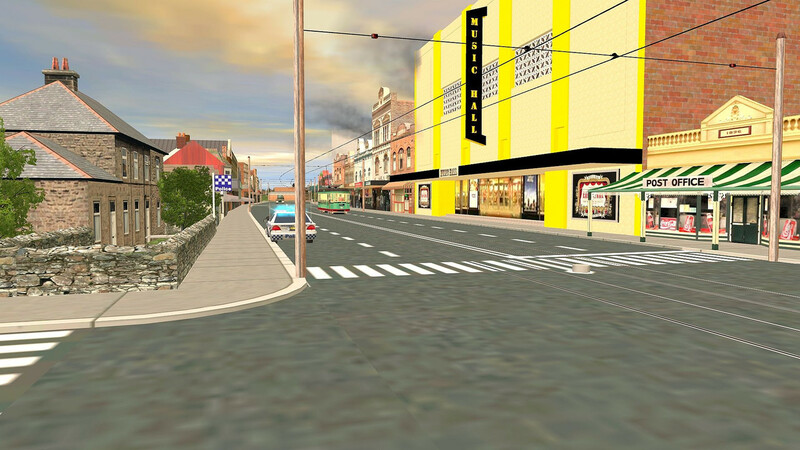 Another area using a texture and a road marking spline is at George St Nth where the road widens. Textures allow lots of flexibility. Best wishes guys and a Happy New Year. 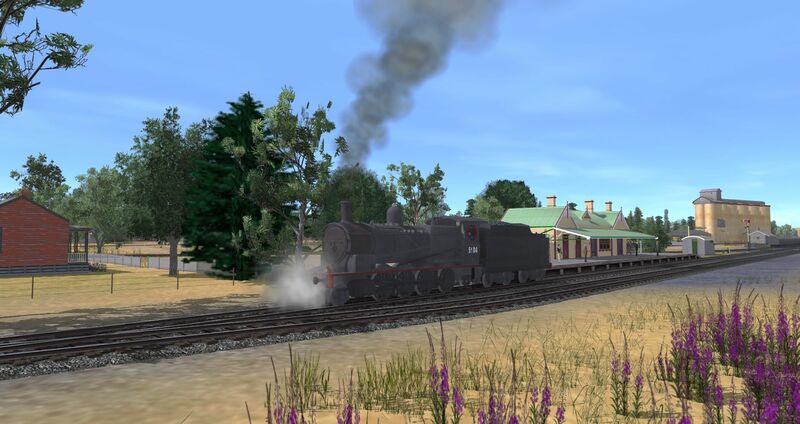 Great work every one, James released a nice little pressie today in the Model Railroad Section of the Forum https://forums.auran.com/trainz/show...42#post1725942 Hope it is ok to post it here also James this one is too good not to share. It was made in Tane but i put it straight into TRS2019 nothing missing nothing faulty it is an absolute ripper. A couple of pic's from it below. All the best to every one in here i hope you have a safe and Happy New Year.....Time to get on the turps for me. Very nice shots Roy, your detailing is superb and the textures as roads is definitely an improvement. That model route looks awesome Mick and is now on my list of stuff to download in the morning. Just a few from me to end the year on. Just a thought. I would find it useful if people could post a brief overview of their intent for their displayed work. Are we looking at something planned as a DLS release? Something shortly upcoming. A long term vision perhaps? Or something from the sandpit (your play ground). Is the shot from a diorama staged for your screenie? Its all good fun, so no judgement what ever way. But I think some background info would add value to the screenies. Good idea Phil, it would make it easier. My previous post, the first 3 are from the Illawarra and South Coast line - a WIP collaboration between myself and Taggy, as you might guess, I'm doing the bulk of the scenery, my specialty. Too early to know what will happen about a release. 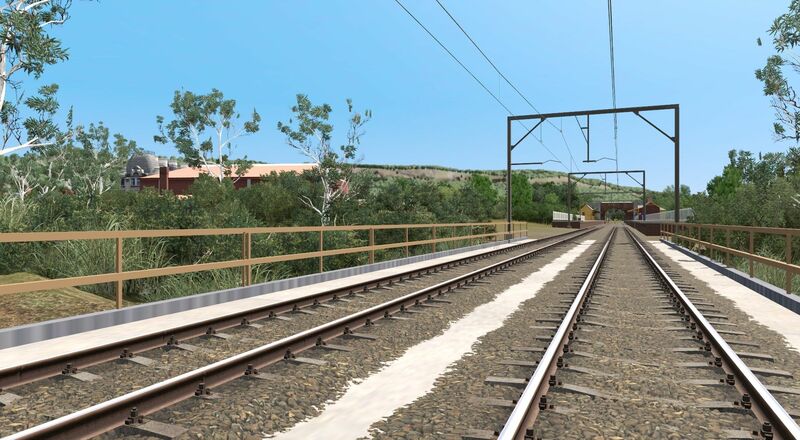 The last shot is from VR Goulburn Murray Lines v4 a WIP update adding the Colbinabbin / Girgarre branches and removing poorly performing billboard trees. 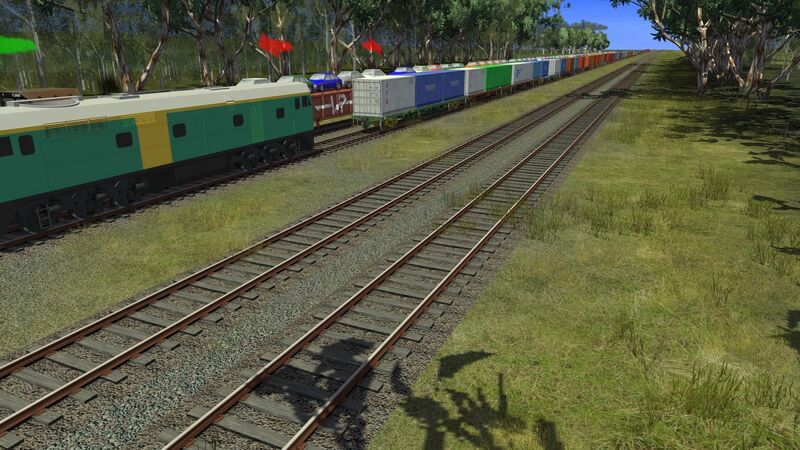 As with all of my own routes VRGML4 will be on the DLS at some stage. Thanks Matruck. When I get a new PC sorted out I'll have to do a TS19 version with proper TurfFX grass to replace those old JVC splines. I love the lighting and palette in 19. So much ambiance. Think the jury is still out on the TurfFX stuff as it is pretty complicated to use, Well I find it complicated and there are a few threads on it from other Trainzer's who find it complicated also but hopefully by the time you get the putor sorted the powers that be will have sorted sum thing more usable for us simple minded folk lol. The route went in TRS19 no problems what so ever not really sure what would need replacing if any thing at all I love it as is. You don't have to worry about how you do things mate. Your technique is incredible and your attention to detail is great. Sydney has never looked so good! All the credit goes to the amazing work and effort from Graeme. His scenery just pops, it brings out the best of the South Coast. I usually only detail around the stations and tracks to make it closer to what I remember but the rest is all Graeme's work. My job is track, anything to do with the railway itself something I enjoy and have practiced a lot. Anyone know a static Steam loco I can use for Bulli? 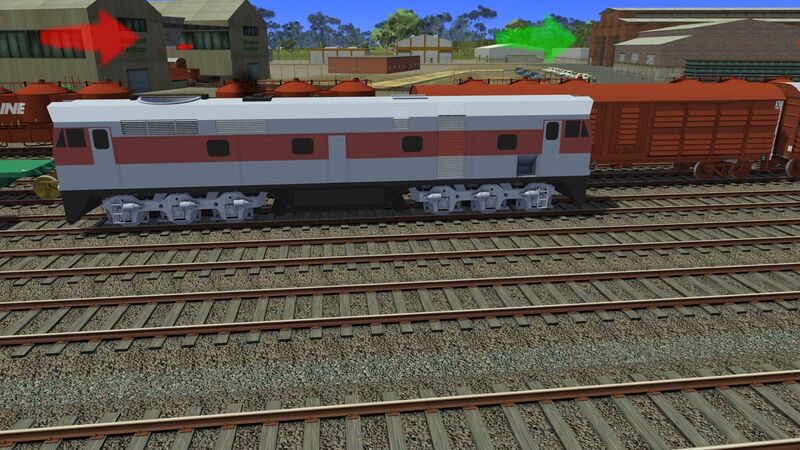 I have the correct wagon/van but need a static loco. Last edited by taggy; January 1st, 2019 at 12:04 AM. Thanks Aaron and Graeme for your support. I'm just having a few 'senior moments' trying to co-ordinate several assets to work together on a hilly area. 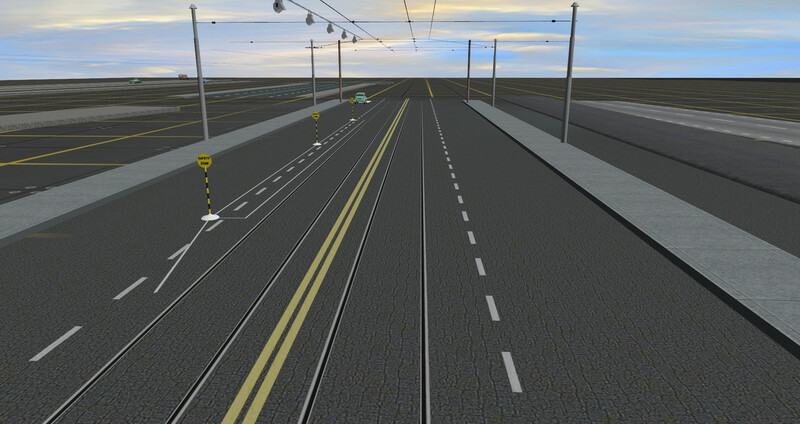 One thing I have found in TRS19,... Shadows "switched-on" don't really work with tram tracks laid on a slope, even when they are embedded into the terrain. 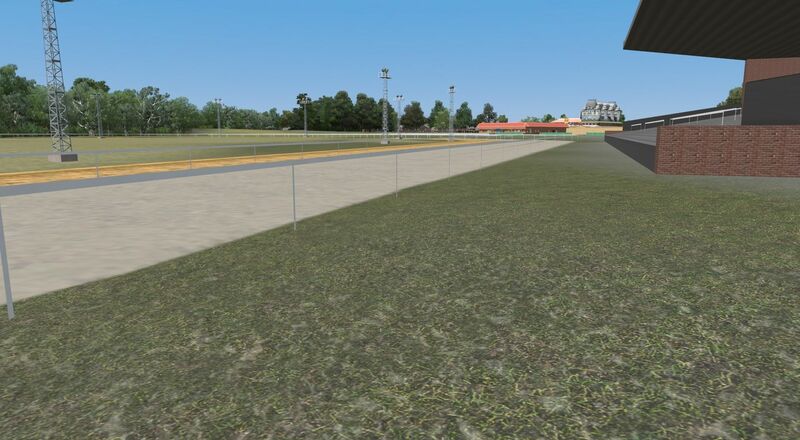 Having a bend in the track, just makes it even worse as the shadow of the track appears at different odd angles. It's necessary to add 4 or 5 extra spline points and then embed them to hide the shadows. On straight level areas it's more controllable. 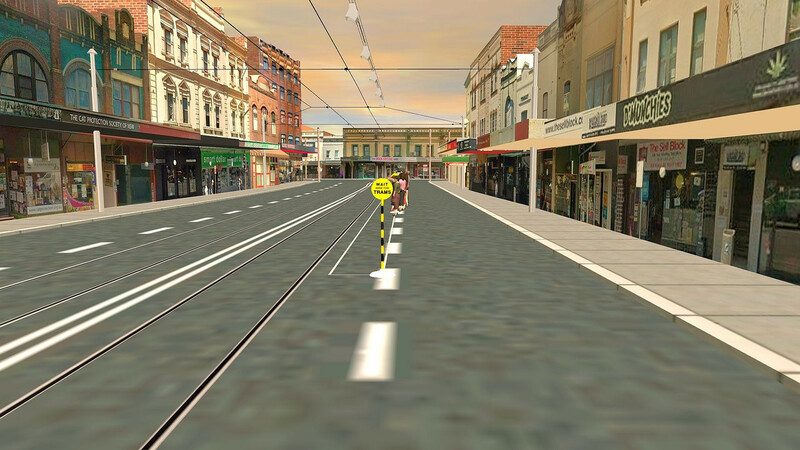 With Shadows "switched-off" it's far easier to set tram tracks and with much fewer spline points. However, I'll get it to work eventually. I've just got to select what works and then stick with it. My problem, 'I like shadows' which makes it more natural. 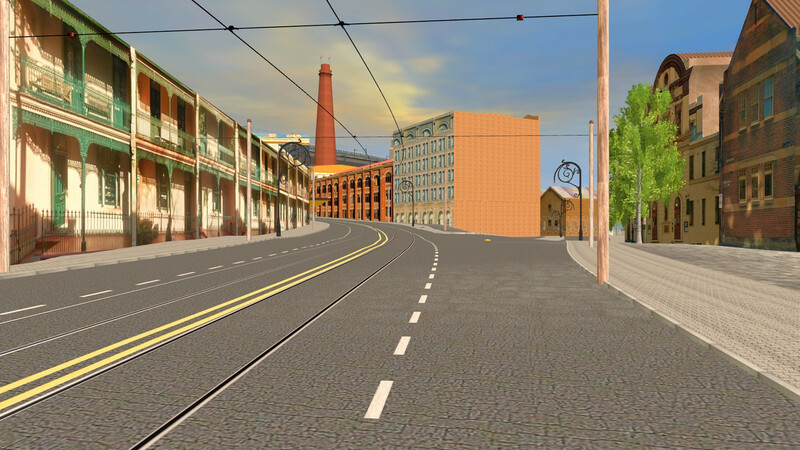 The image below shows the hilly section and the shadow of the tram tracks, even though they have already been 'smoothed to the spline points'. This is more like what I'll go with. 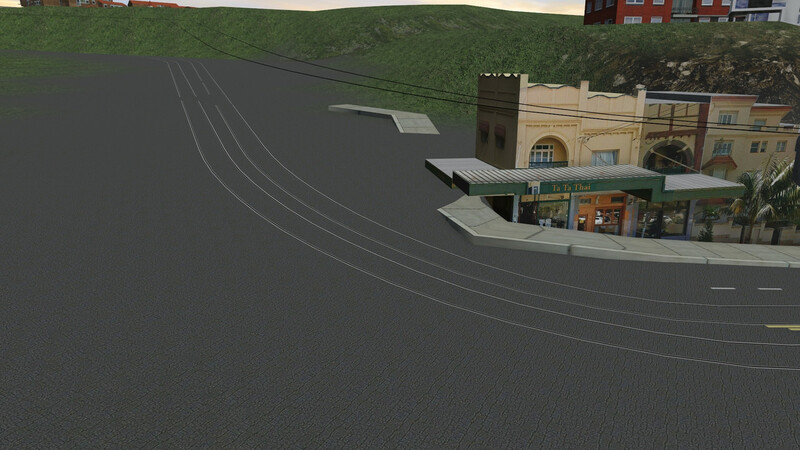 I'll use a texture for the road base, AJS-TUME Traffic lanes and a footpath spline. I don't have TRS2019 yet (where's the DVD), but I'm with you on this one Roy. My number 1 annoyance is 2 dimensional objects which cast shadows. Hope someone from NV3 is listening to the clamour. Last edited by FootplatePhil; January 1st, 2019 at 05:34 AM. I like the latest update to your Session. This is such a good thread. Great shots everyone. (and thanks Roy). 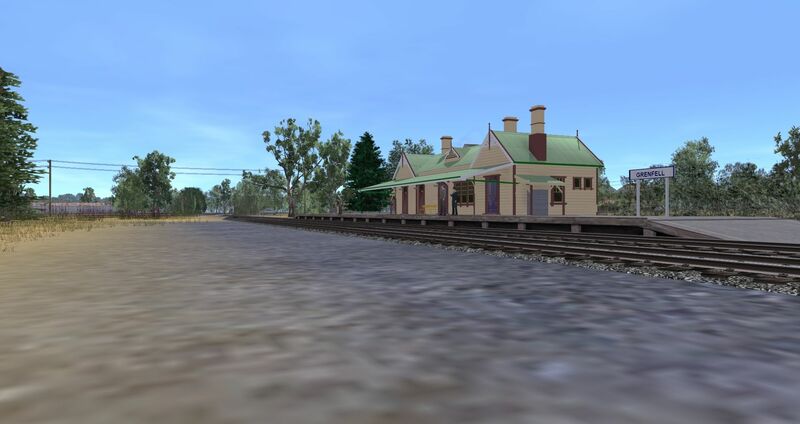 Latest screenshots from WeddinNSW WIP, now incorporating a fantastic model of Grenfell Station building, created by ad602000. It's always bugged me that such an iconic building in the town wasn't represented correctly in my model. Last edited by FootplatePhil; January 1st, 2019 at 10:16 PM.